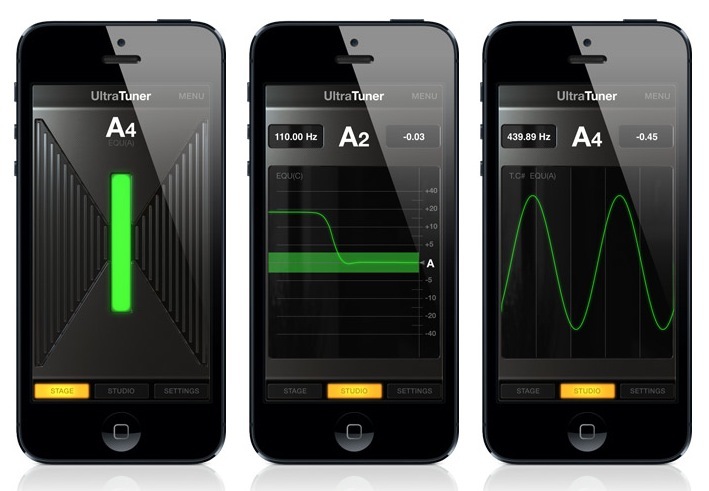 UltraTuner is an excellent instrument tuner for use with Apple’s iPod, iPad and iPhone. UltraTuner is a delight to use because the software is versatile and the results are stunningly accurate. 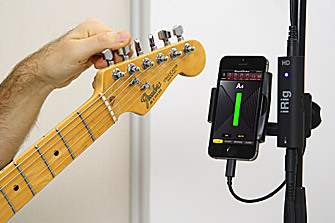 If you use UltraTuner to tune your guitar, you will immediately hear the difference. My Martin Guitar (DCPA4 Siri solid wood) has a built in tuner and I have several other tuners that I have used with the instrument, but after using UltraTuner, I really could hear the difference in the sound of the instrument. I realize this sounds like hype or exaggeration but in fact, the truth is UltraTune is phenomenal – and all this for under $5.00 from the App store. The beauty of UltraTuner is its ease of use and its incredible accuracy. Not only does the UltraTuner really help you tune your guitar accurately and quickly, the UltraTuner is visually pleasing to use and is an excellent tool for all musical situations including live performance, studio work as well as for luthiers. After downloading UtlraTuner from the App store, the first thing you will want to do is try it out, then you will want to take a few moments to view the online instructional video, just to get quick grasp of all UltraTuner’s features. UltraTuner has a plethora of useful settings that allow for customization to suit particular needs. Visually, UltraTuner has 3 MODES: Stage Mode, Studio Mode Pitch, Studio Mode Waveform. In Stage Mode, UltraTuner is a straightforward, ultra-accurate instrument tuner featuring a unique, simple interface that’s very easy to see in low light conditions. In Studio Mode, UltraTuner’s versatility is immediately evident in its ability to switch environments and be utilized as a proprietary pitch-time tracking tool. Studio Mode allows you to monitor and track the accuracy of the pitch of a note in real time. This is extremely useful for vocal and ear training and playing non-chromatic instruments like violin, fretless bass, brass instruments and so forth. ‘If you’re looking for the most accurate instrument and calibration tuner for iOS, then you’ve found it!’ UltraTuner, easy to use, extremely accurate and very versatile is a must have for all musicians and vocalists – UltraTuner is the one tool that musicians will love to use and keep you in tune – ALWAYS. April 13, 2014 in Computers, Music production, Technology Review.